If you are visiting this page because you are looking for a venue for your wedding ceremony, please do accept our congratulations. Our churches are beautiful, ancient places where couples have married for many generations. A church wedding can offer a far more personal touch than civil weddings, and our marriage preparation courses give a valuable space for you as a couple to reflect and think (and dream!) about the future. As well as weddings we can offer a service of prayer and dedication after a civil ceremony, or a service of blessing - perhaps to celebrate an anniversary. Services can also include the christening of your children. Whatever service is right for you, they bring a spiritual dimension into this most important time. We believe that marriage is God's plan for couples and families, and a unique part of a church wedding ceremony is the prayer of blessing that you will receive as you start your married life together. There is a legal framework regarding which churches you may get married in. 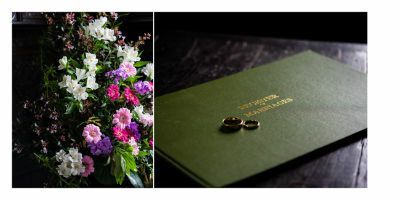 Broadly speaking, if you have a family connection in recent generations with a church or village you may get married in the parish church . Please follow the link here for a full list of what are called Qualifying Connections. Alternatively, if you don't have a Qualifying Connection then you would be very welcome to become eligible to marry here by joining us regularly for worship over six months. If you or your fiancé(é) have been married before we understand that this can be a sensitive matter, and would be happy to discuss your situation and possibilities with you. Please do get in touch.